A new superhero in crime city against the gangsters & robbers. Snake Superhero along with anaconda hero all the way from jungle to the city for the future battle. The bad mafia has taken over the city and is going to demolish everyone that comes in the way of their illegal actions. Survival city needs a crime avenger hero and for the first time in superhero battle games introducing a snake superhero in the strange city battle and rescue missions. His companion anaconda superhero is ready to fight side by side as superheroes. Your mission is to restore law and order situation in this snake hero city rescue mission game. Your companion anaconda superhero knows the fight tactics. So start this street fighting action mission with your super snake flying hero city survival. Everyone in the streets is finding a way to fight back and make a prison escape from the wrath of the mafia and their criminal activities. 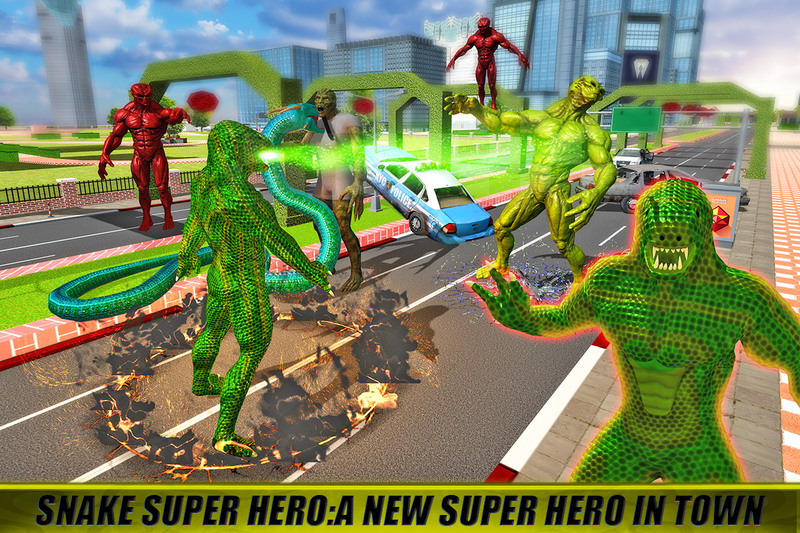 Become a city hero in this strange war with Snake Superhero City Battle. There is a rampage and chaos situation in crime city they city warrior hero who escape them from the dangerous war situation. Apart from car thefts, street fights are occurring on a very large scale and are clearly out of the control of the police of the survival city. Show your flying power, transform snake hero into real man and other supernatural fighter powers in this crime city battle. This new 3D fighting and survival simulator game is the new thrill with your favorite snake hero warrior and city rescue twist. 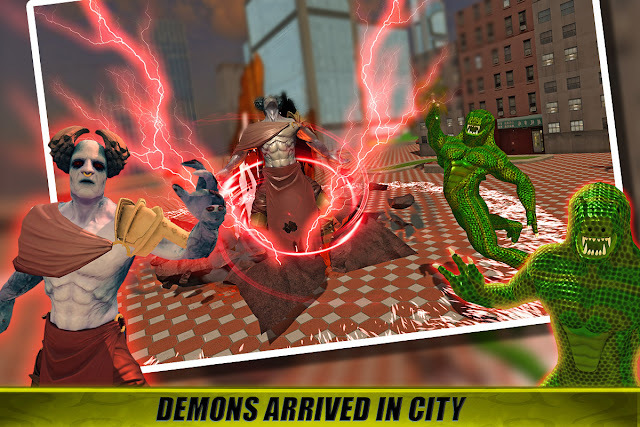 Strange snake hero vs crime city battle is a flying and fighting super hero combat game in which you can utilize fight like ninja super strange power with the help of anaconda hero warrior. You have to defend the mafia and fight criminal and gangsters because you are fearless super hero fighter in this war against the criminals, gangsters and mafia. 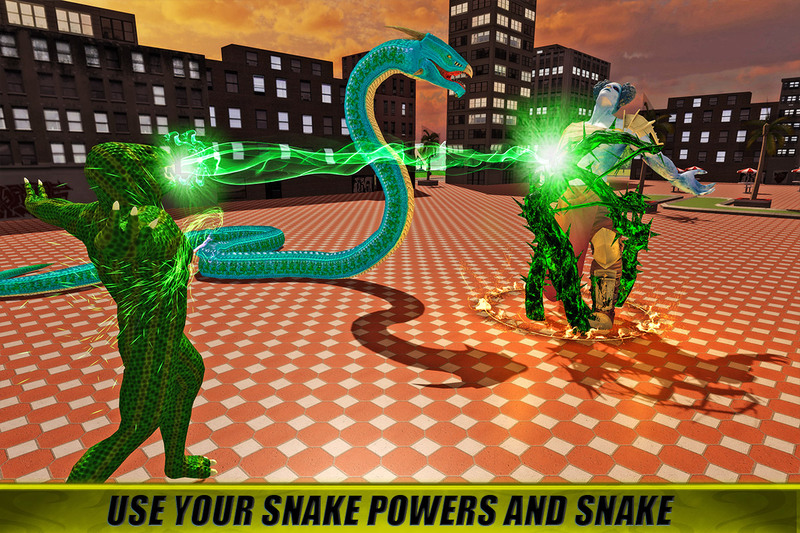 Your anaconda superhero fighter can cover even more than these criminals and can cause ragdoll effects by using the realistic physics and other strengths. • Snake superhero city warrior introduced with supernatural attacking powers. • Amazing fights and city war against the criminals & mafia as snake superhero avenger vs gangster city battle. 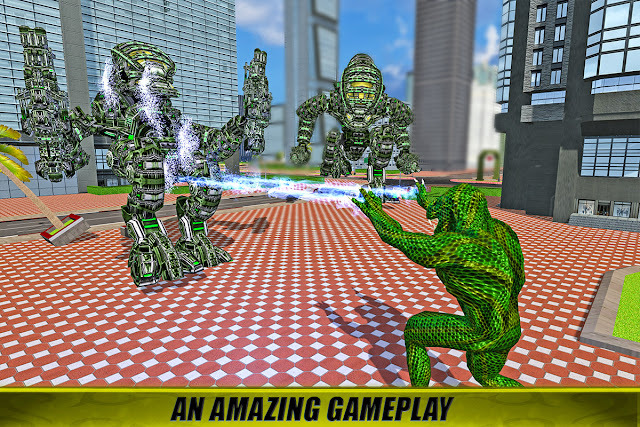 • Real treat for the lovers of superhero battle games with street fighting challenges. • Rescue city people as the real super snake hero. • High quality sounds with superb animations & graphics. Start your fighting mission with super strong skills and escape plans. Get ready to face multiple street fighting wars as a real super hero. Download this Snake Superhero City Battle and use strange flying super powers to rescue the civilians in survival city.